1) psychological processes involved in interracial interactions, 2) self-regulatory processes involved in the evaluation of traditionally stereotyped group members, 3) the role of implicit and explicit attitudes in the psychological wellbeing of Black Americans, and 4) predictors of, and processes underlying intergroup forgiveness. Ashburn-Nardo, L., Monteith, M. J., Arthur, S. & Bain, A. (2007). 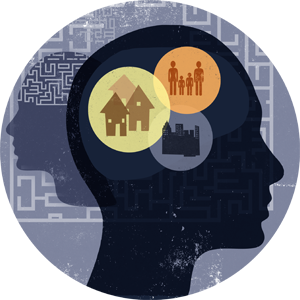 Race and psychological wellbeing of African Americans. Group Processes and Intergroup Relations,10, p. 471-491. Monteith, M. J., Arthur, S. & McQueary Flynn, S. (2010). Self-regulation and bias. In, J. F. Dovidio, M. Hewstone, P. Glick, & V. M. Esses, (Eds). Handbook of prejudice, stereotyping and discrimination (pp. 493-507). Sage Publications.